Details of Accepted and Rejected Entries for the BPSC Spring LC Meet 2017 (13th/14th May) are now available – Further details for this event can be found HERE. Updates for Overall and Age Group Club records covering galas up to and including the 16th April are now available on the Club Records page. Record report to follow. Good luck to all our swimmers who are competing at the 2017 East Region Youth Swimming Championships this weekend. At the time of publishing BPSC swimmers have so far secured at least 15 medals with top placings including Samuel Perks, Callum Hodgson, Mason Hunnisett, James Cooper, Macy Lawrence and Ellie Wheeler. In the combined Club Points table after session four BPSC were placed sixth overall with plenty more to come! See East Region Championships Live Results Feed for details. 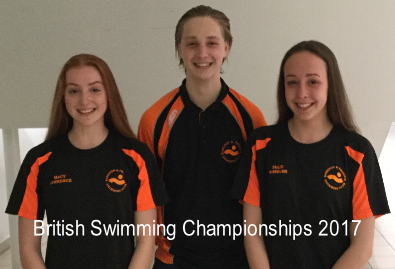 Good luck and congratulations to Macy Lawrence, Sam Pease and Ellie Wheeler who will be representing BPSC alongside the very elite of British swimming, including medallists Adam Peaty and Jazz Carlin who shone at the 2016 Rio Olympics. All of them will be competing at Ponds Forge International in Sheffield from 18th to 23rd April. See the full BPSC British Championships press release here. Congratulations go to Gold 1 swimmers Reece Nicholls and Sam Pease who are representing the East Region Schools at the National English Schools Championships being held in Liverpool. Congratulations to Gold 1 swimmers Liam Brennan, James Cooper and Mason Hunnisett who are representing the East Region ASA at the Edinburgh International Competition. Congratulations – to the following swimmers who have been selected by Essex to attend a training camp: Olivia Church, Ruby Wheeler, Arthur Bernans, Mason Allen. 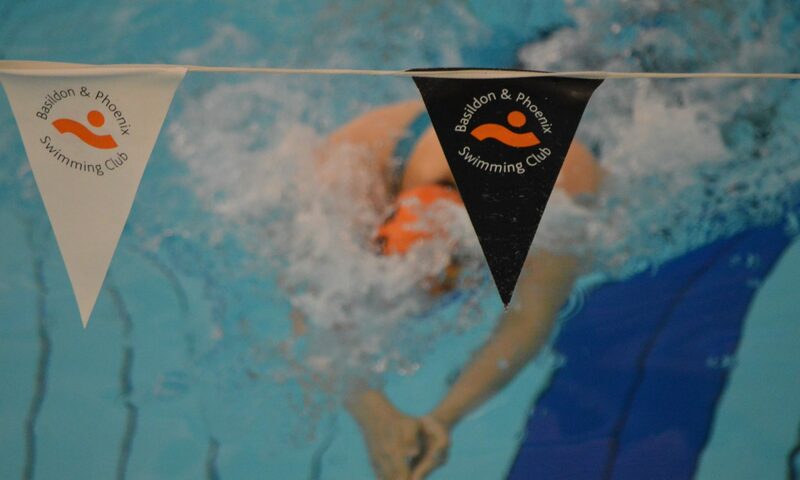 The report summarising the BPSC club records broken by our swimmers in February is now available on our Club records page. These include records by Emily Cooper, Olivia Harrison and Jack Williams who are new entrants to the club record books and new overall long course records for Vejune Petraityte, Ellie Wheeler,Macy Lawrence & Holly Hildrew. Awards Night – An excellent BPSC awards night was held in the Springhouse Club, Corringham. Many awards were handed out including ‘Top Boy’ and ‘Top Girl’ trophies from the Club Championships, performance awards from the recent Essex Championships, squad ‘swimmer of the year’ trophies and some special awards voted on by club members. It seems that a great night was had by all! For details of who won what, see 2017 Awards Night Trophies and also for Club Champs Awards: Boys Girls. Some photos from the evening are shown in the slideshow above. More photos available in our Awards Night Photo Gallery. Anyone who was unable to collected their award will get it presented by their coach on Friday 10th March at normal training. Club championship trophies can also be collected from the club desk between 5pm and 6pm on the same evening. Essex Champions (again)! – For the second year in a row Basildon are confirmed as Essex Age Group Club Champions! After nine competitive sessions spread over 6 days and three weekends, BPSC finished decisively in top position of the club points table. BPSC acquired a total of 2,203 points in the championships leaving a massive gap to second-placed Colchester (1072 pts) and third-placed Romford (959 pts). No less than 66 BPSC individual swimmers reached finals (or top 8) in one or more of their events. At the end of this annual competition BPSC also had four individual Essex Age Group champions: Reece Nicholls, Samual Bryan, Liam Brennan and Ruby Wheeler who all finished top in the points tally for their respective ‘Top Boy’ and ‘Top Girl’ age groupings. In the team telay competition Basildon finished top of the Junior and Youth relay categories and were in second place in the BAGCAT section. Overall it was an excellent competition for BPSC with many PB’s and several new club records set. See Full results from the 2017 Essex Age Group championships.